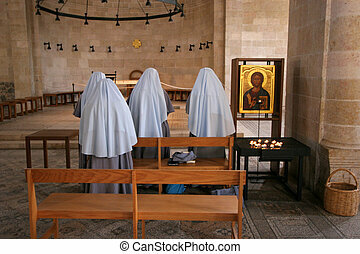 Holy multiplication. 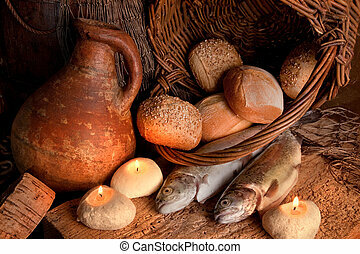 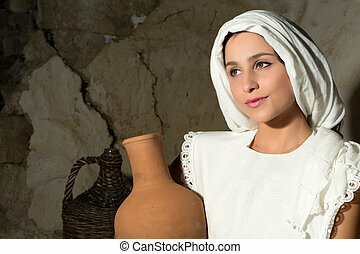 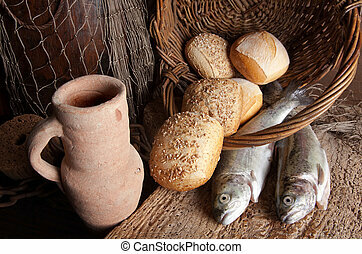 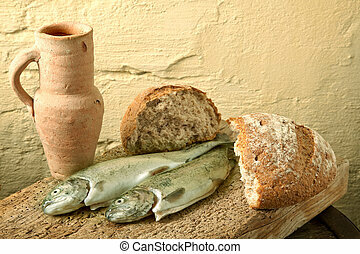 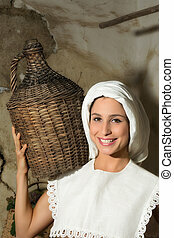 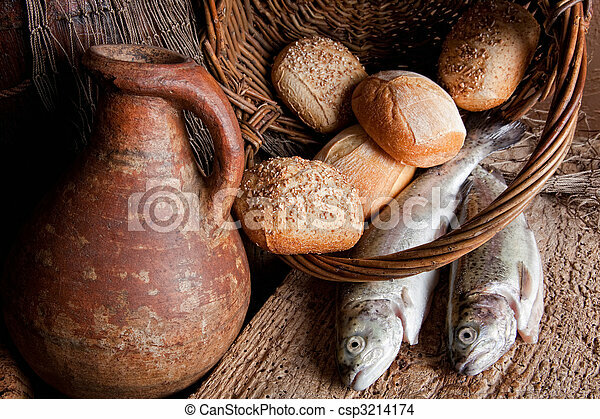 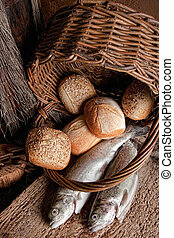 Wine, loaves of bread and fresh fish in an old basket. 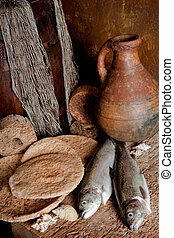 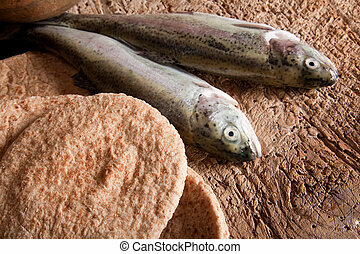 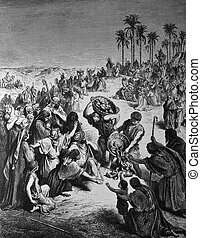 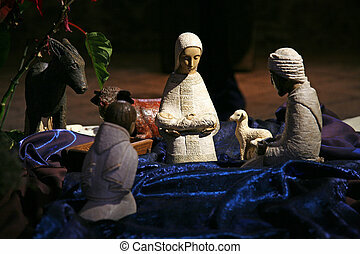 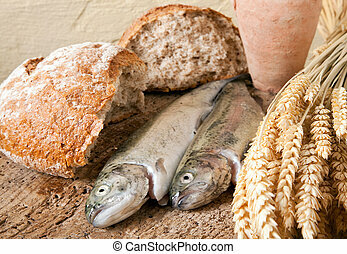 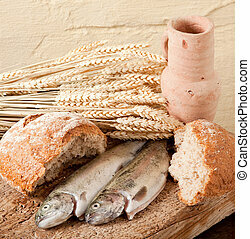 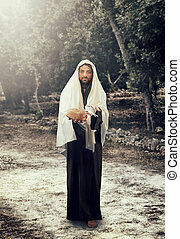 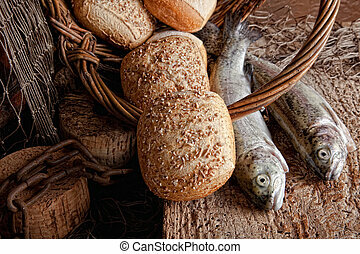 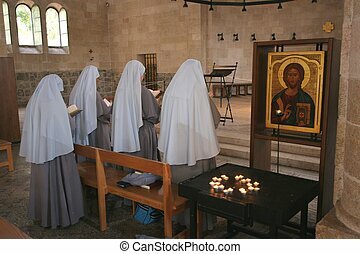 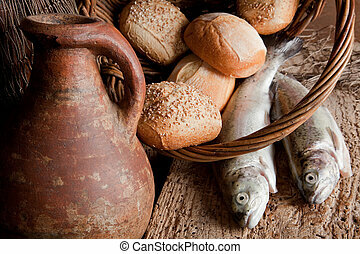 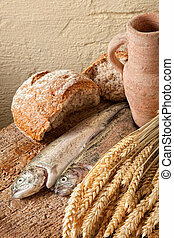 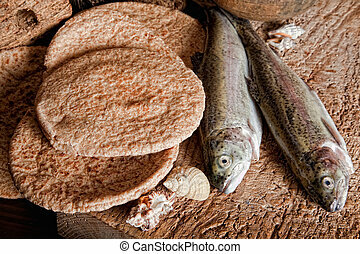 Jesus Christ and the multiplication of the loaves and fishes. 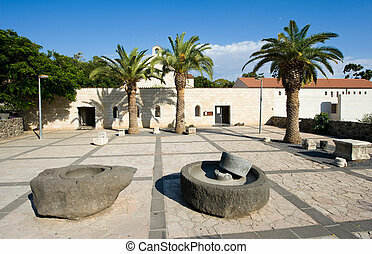 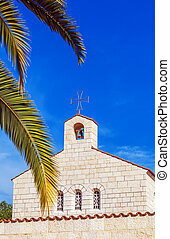 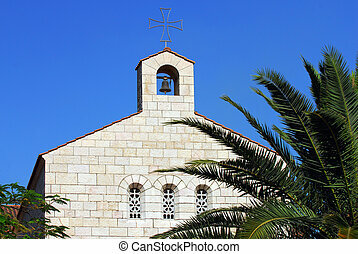 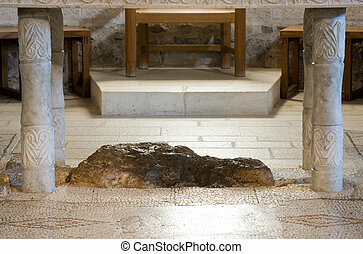 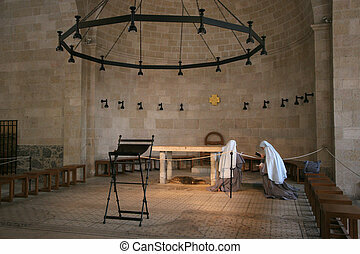 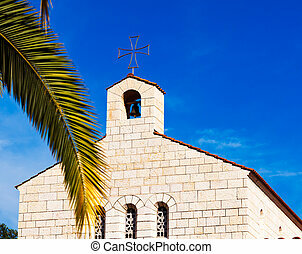 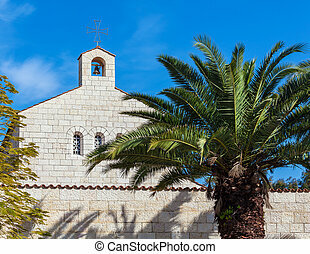 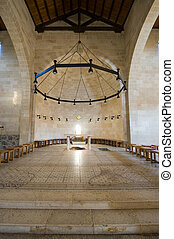 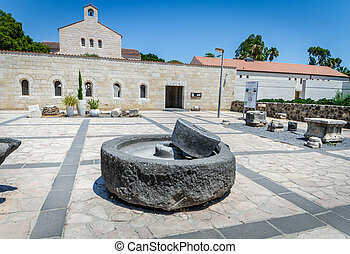 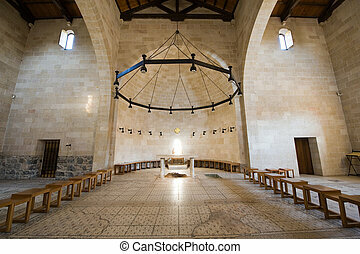 Church of the Multiplication, a Christian site in Tabgha on the shore of the Sea of Galilee.